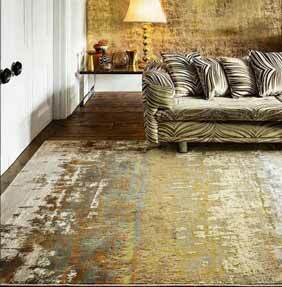 Gentle and mesmeric colourways pair with abstract designs in the Aurora collection by Asiatic Carpets. Each rug has its own sense of character and shows off a unique and abstract finish which brings interest and character to any space in the modern home. Shimmering gold and silver shades are paired with more neutral colourways to create delicately lustrous options for many styles of interior. Each Aurora rug combines 65% soft polyester with 35% polypropylene and each rug has its own encapsulating character. Each rug is woven by machine for a consistent finish and you can choose between four different sizes of your preferred Aurora rug.